A cutting edge new study published in the Indian Journal of Experimental Biology has revealed new potential for a common spice. Ginger, the researchers claim, has strong therapeutic properties when it comes to treating Alzheimer’s-related symptoms. “Ginger (Zingiber officinale Roscoe, Zingiberaceae) rhizome is consumed worldwide as a spice and flavour agent over 2000 years and is attributed to have many medicinal properties,” the researchers explain. Researchers on the new study found that the anti-Alzheimer’s effects of ginger are due to its ability to inhibit the enzyme acetylcholinesterate. 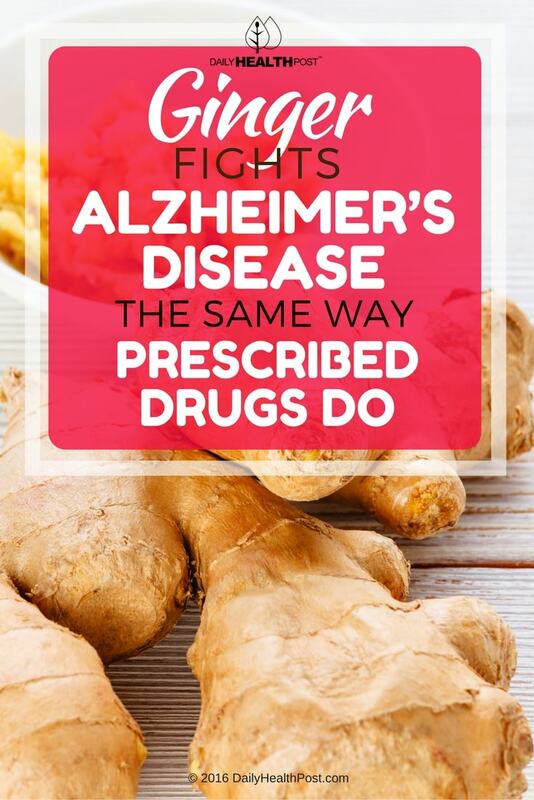 Acetylcholinesterase inhibitors are among the first line of drugs prescribed for beginning to moderate Alzheimer’s disease, but ginger extract may have a similar effect, while being safer to ingest in large quantities. Ginger extract isn’t the first plant-based compound to prove useful in the treatment of Alzheimer’s disease. “Many recent reports identifying new AchE inhibitors from plant sources as the currently approved drugs galantamine is derived from a plant-based compound,” the researchers observe. In 2007, a study published in the Journal Of Alternative And Complementary Medicine examined the potential for treating Alzheimer’s disease using 27 different herbs. 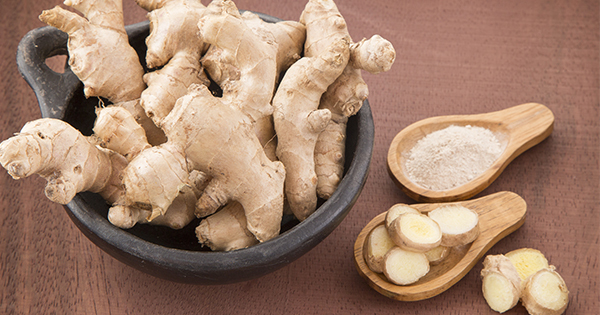 Of the herbs tested, ginger stood out as one with potential to protect cells from betaA insult. “Selective herbs may be potentially important resources to discover drug candidates against the onset of Alzheimer’s disease,” the researchers concluded (2). 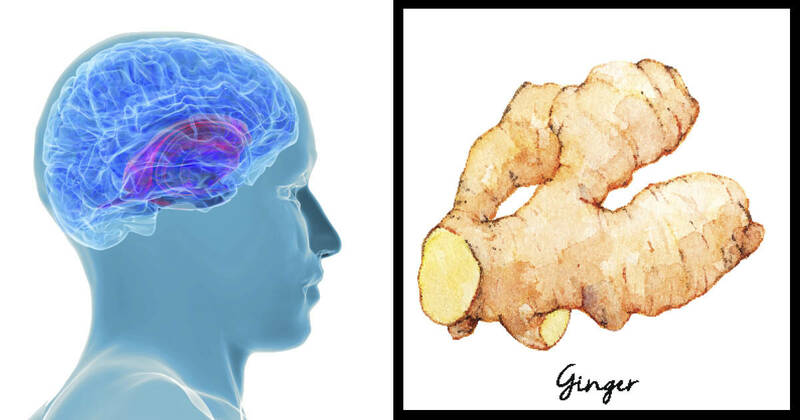 As recently as 2013, ginger has been found to have therapeutic effects on Alzheimer’s disease in animal models; one study found that ginger extract could actually appear to reverse behavioral dysfunction associated with Alzheimer’s disease in a rat model (3). While natural remedies are often discouraged by the FDA due to the difficulties presented in regulating their use. However, this has done little to discourage interest in natural remedies for diseases like Alzheimer’s. Thanks to the work of scientists and other researchers, we know that there are many natural remedies with potential for treating Alzheimer’s disease, including coconut oil, gingko biloba, and turmeric (4). Many studies support the use of natural remedies for treating chronic and degenerative diseases. 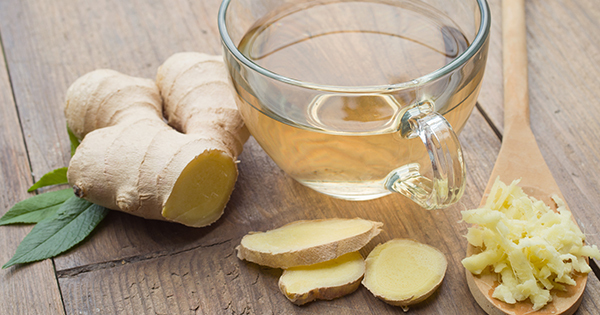 Ginger in particular has shown potential for the treatment of more than just Alzheimer’s disease; it’s also used currently to treat morning sickness and chemotherapy-induced nausea.